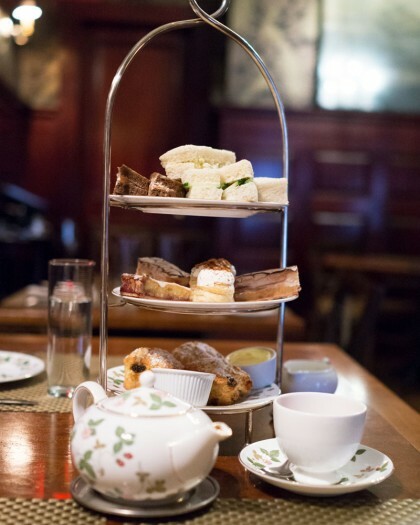 A look at the afternoon tea at Garfunkel’s in NYC from the secret doorway to the courses on three-tiered tray. Garfunkel’s is a speakeasy that serves afternoon tea during the day and cocktails at night. 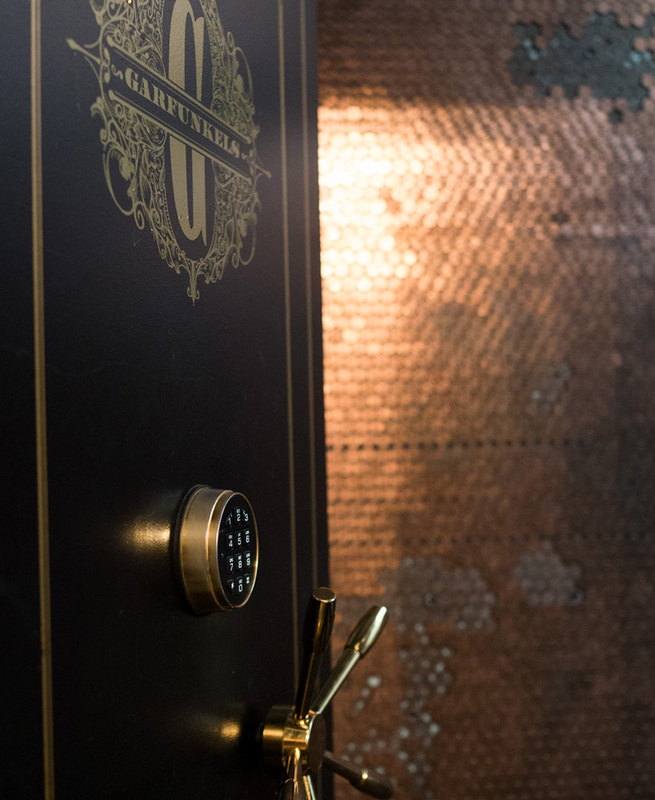 Since it’s a speakeasy (a hidden spot that serves alcohol), it’s not so easy to find the entrance. When you look up the address you’ll see it’s a burger joint called The Burgary and you won’t see Garfunkel’s name anywhere. To get inside, go to the host at The Burgary and let him or her you’re there for afternoon tea and you’ll be shown the way to Garfunkel’s. Garfunkel’s is a great find since it’s one of the rare $40 afternoon teas in the city. I’ve gone twice and it was consistently good. 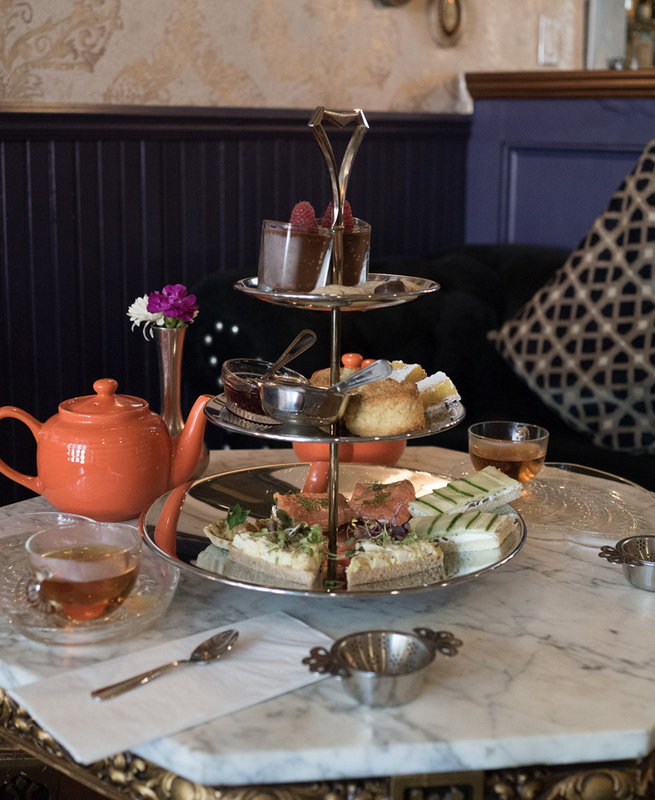 When you go for afternoon tea, know that they only serve afternoon tea (no other menu options are available), so each guest orders his or her own tea. The pricing is per person. You don’t order food items individually at afternoon tea–it’s a set menu. You get what everyone else gets. 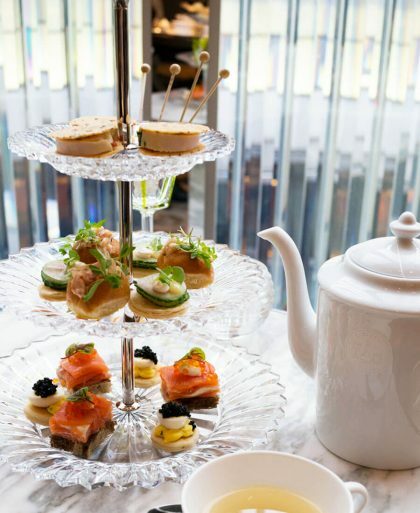 What you get for the cost of afternoon tea is a pot of tea and a three-tiered tray with a course on each tray. The bottom tier has the savories and tea sandwiches, the middle layer has the scones with jam and clotted cream plus a couple of sweets, and the top tier has additional sweets. You eat from the bottom to top. 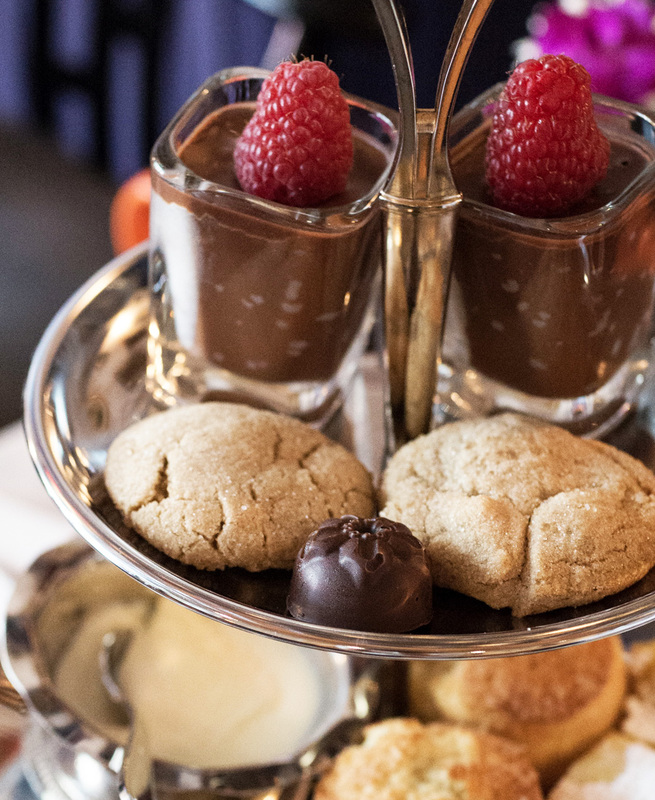 Does Garfunkel’s Have More Than One Type of Afternoon Tea on the Menu? No, they only offer one kind of afternoon tea which is not unusual. 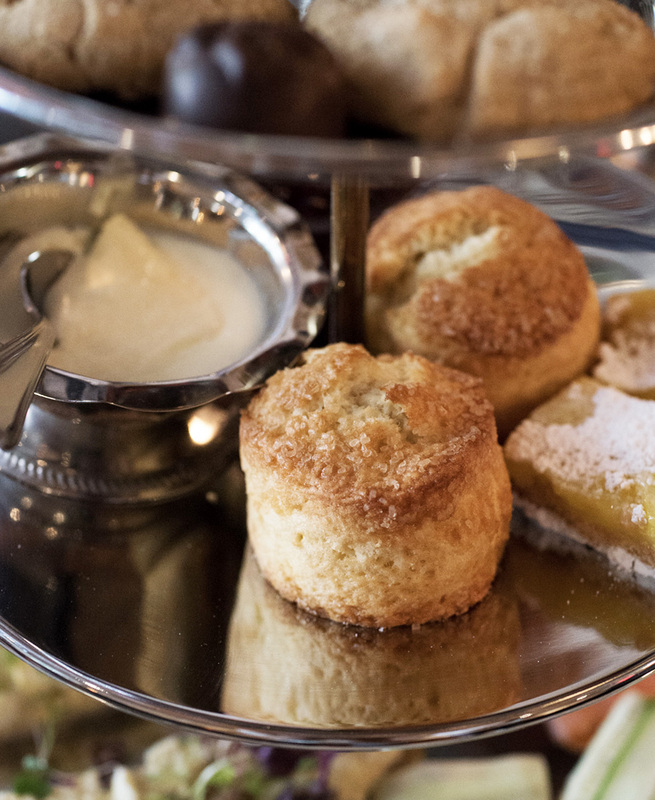 You get a three-tiered tray filled with bite-sized savories, scone with clotted cream and jam, and sweets. How Much is Afternoon Tea at Garfunkel’s? 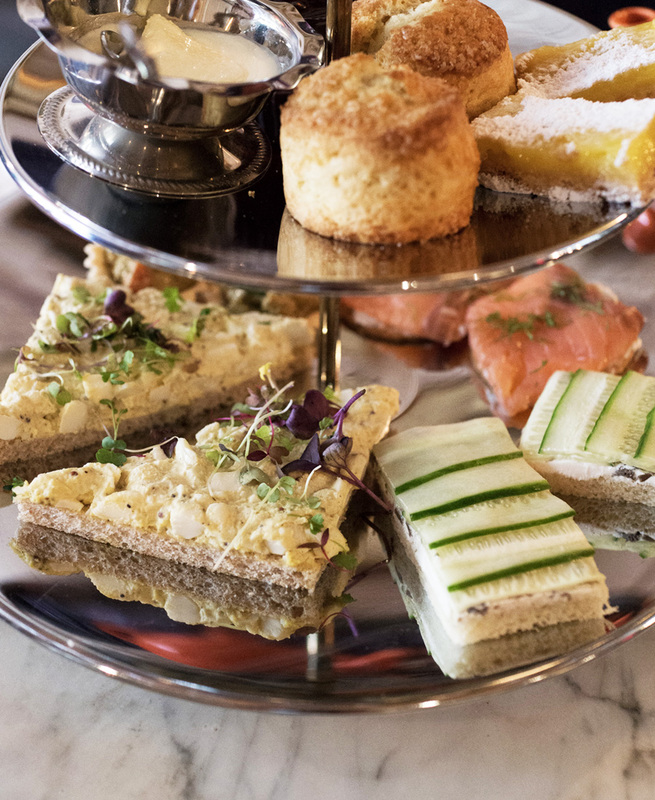 Afternoon tea is $40 per person at Garfunkel’s. Do I Need to Make a Reservation for Afternoon Tea at Garfunkel’s? Yes, reservations are required. They’ll ask for your credit card to save the reservation. What Do I Wear for Tea at Garfunkel’s? Their dress code is business casual/dressy. Basically, look put together yet be dressed comfortably. How Long is Afternoon Tea at Garfunkel’s? Afternoon tea generally takes about two hours. It’s a bit of a luxury so be sure to relax and enjoy every course. What Time is Afternoon Tea at Garfunkel’s? 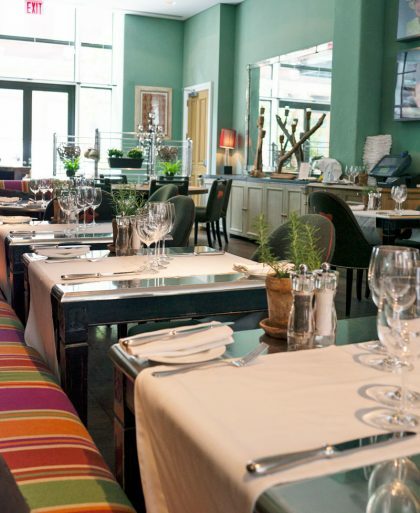 Garfunkel’s is open for afternoon tea Wednesdays through Sundays from 12PM – 5PM. I generally advise people to not make a reservation too late in the afternoon. 3PM is ideal as you don’t want to feel rushed especially since the speakeasy is open for cocktails at 6PM. How Does Afternoon Tea at Garfunkel’s Work? 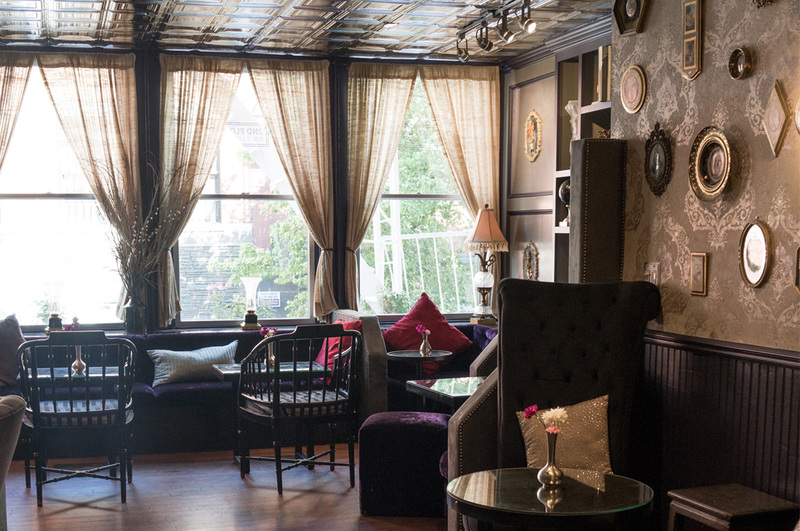 Garfunkel’s specializes in tea from India and she’ll give you a selection of about 5 teas to choose from. Don’t leave the tea to steep for too long in the teapot and ask for more hot water if the tea gets to be too strong. RELATED: What is Afternoon Tea? Once you let the host at The Burgary know you’re there for tea you will be guided to the back where a code is punched into a door with a keypad. The door opens to a staircase leading upstairs. The room itself is cute, but doesn’t feel too cozy, maybe due to there being too much open space in the middle. The chairs are comfortable and they seat you with enough distance between parties so it feels intimate. The afternoon tea service is run by a woman named Amy who has an extensive background in Indian tea. She prepares everything on the three-tiered tray so she’s very much invested in making the customer’s experience a great one, and it is. Garfunkel’s afternoon tea is the only one that I know of that serves single estate Indian teas. There’s no physical tea menu to choose from, instead, Amy describes the five Indian teas in detail. If you’re unsure which one you want to go with, let her know what kinds of tea you usually like to drink and she can make recommendations. I knocked off a star since the first cup of tea poured from the orange teapot was slightly watered down and by the third cup, it was way too bitter from the tea leaves sitting in the teapot for too long. I wish it came already perfectly steeped without tea leaves in the pot or that there was a tea strainer that allowed me to take out the tea leaves so they’re not left steeping in the pot. The savories on the bottom tier (four different tea sandwiches per person) are all carefully made by Amy. My favorite was the curry chicken, which was especially good with a nice little spicy kick, and my least favorite was the cucumber since the cucumbers were not as crisp as I would have liked. I didn’t love the sweets course and they definitely lacked the same thoughtfulness as the savory course. The chocolate pudding was a little too hard, the cookies were good but not anything special, and the lemon bars were just OK.
Thankfully, we were already pretty full from the savories and the scone that I didn’t mind too much about the sweets. 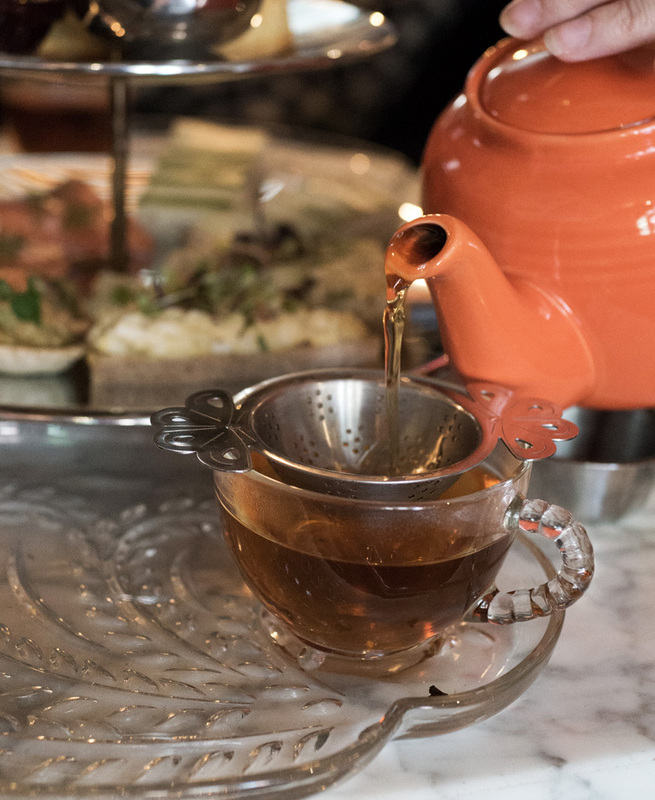 Afternoon tea at $40 is a rare find, especially one that is given such care and attention. Highly recommended.